Audi debuted the 2015 A3 TDI Sportback at the New York International Auto Show today. It's a tech-filled, compact, diesel wagon that will go on sale in the U.S. next summer, and it's only here because of its loyal fans. 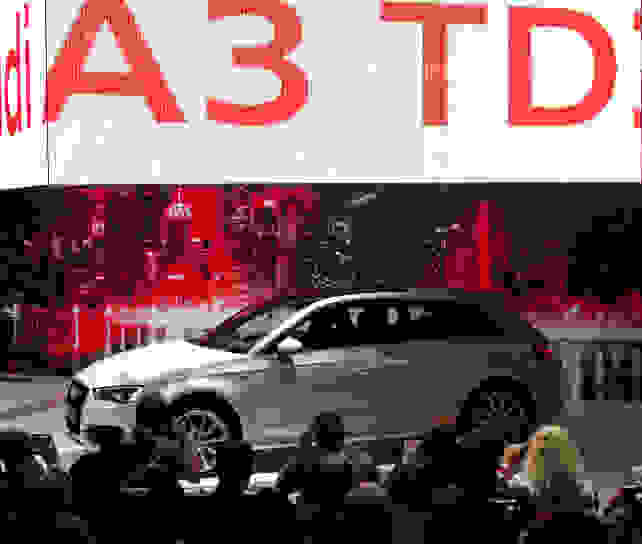 The TDI Sportback will join a host of other new cars wearing the A3 badge, including a sedan, convertible, diesel sedan, plug-in hybrid wagon, and performance-oriented S3 sedan. They all will debut in the U.S. over the next 18 months. But the TDI Sportback is special. The diesel engine was responsible for half of the sales of the 2008-2012 A3 Sportback, which Audi of America president Scott Keogh called "a cult classic in the epicenters of the creative class." According to Keogh, the TDI Sportback has returned thanks to an outpouring of support. "We clearly did not want to forget our passionate Sportback loyalists," said Keogh. "The postings, the tweets, and the E-mails can settle down now. The rapid expansion of the A3 lineup is a sign that Audi is making a strong bet on the compact premium segment, a class of vehicles that appeals to younger buyers and downsizing empty nesters alike. Keogh calls it "new luxury," which—in his words—is versatile, elegant, compact, and efficient. We saw the A3 interior back in Frankfurt last year, and came away impressed with high-end finishes and clean interior lines. The A3 also features an updated version of the Audi Connect infotainment system, with optional dedicated 4G LTE connectivity provided by AT&T. That connection allows for constant access to Google Maps, Facebook, Twitter, and streaming audio including online radio stations. A new smartphone app, announced today, even lets users select destinations from GPS data encoded in photographs. So if you took a picture at your favorite beach, your Audi can get you back there next summer. With its 150-hp, 2.0-liter diesel engine, the TDI Sportback promises improved fuel economy and cargo room—perfect for city dwellers who go on weekend road trips. We're awaiting concrete numbers for pricing and fuel economy.